With the contentious remarks that get passed back and forth during a presidential election, other parts of the ballot are often forgotten. The ballot voters will see on election day will not just present a choice of whom they want for the next president, but a multitude of other choices. In New Mexico, ballots will feature candidates for Congress, the Senate and the Supreme Court among other things. Voters will also have to decide on certain measures that will affect the state. One of those measures will be the 2016 General Obligation Bond C. This bond is set up to possibly help New Mexico’s universities with renovation and construction projects. If approved by the voters, the New Mexico State University system would receive $27.5 million with the funds going toward renovating campus infrastructure and IT upgrades. However, the main focus of the project would be the renovation of Dan W. Williams Hall, built in 1938 and originally used as a gymnasium and remodeled to accommodate art classes and a gallery in 1974. 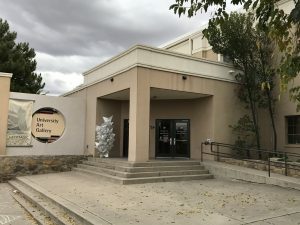 The distribution of the $27.5 million that NMSU stands to receive from GO Bond C.
In its current state, Williams Hall is unsafe for art classes. It lacks proper ventilation in certain areas where it is most needed. The current estimates for repairing the building have reached a point where it is smarter to rebuild, Pontelli said. “All external specialists that have been engaged in the assessment of the building pointed out that the only suitable solution is to completely rebuild the facility. It is beyond the possibility of repair or upgrade,” he added. 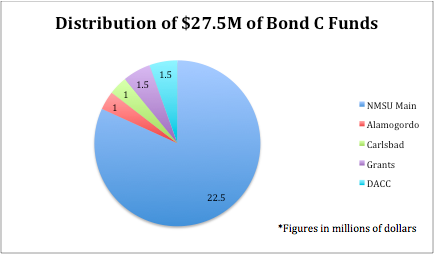 The average student roaming the campus might not have an idea of what GO Bond C is, but it is a popular topic amongst the students taking classes in Williams Hall. Dan W. Williams Hall as it currently stands at NMSU. NMSU’s proposal for its request of funds from GO Bond C cited that in 2014 there were approximately 2,000 students taking classes at Williams Hall. The number of students is down 16 percent from 2010, but Pontelli finds that a renovated building would change that. Enrico Pontelli, NMSU Dean of Arts & Sciences. Courtesy of NMSU. If approved by voters, the money from the bond will also be used to upgrade campus infrastructure such as gas and water lines and other maintenance issues. Additional projects include renovating the IT infrastructure. This would include tasks ranging from replacing decades-old phones to replacing network distributions and improving classroom technology. The current condition of NMSU’s network is not in disarray, but has room for improvement. 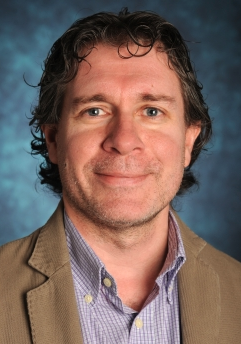 “New investments will actually bring us ahead of many other schools, with greater flexibility, reduced costs, and even broader connectivity,” Pontelli said. The state of New Mexico previously distributed $119.4 million two years ago through GO Bond C. NMSU has stated that if the bond were to pass, it would bring in approximately 1,350 new jobs and finished facilities would improve student recruitment and retention. GO Bond C may not have reached the ears of many students, but its presence on this year’s election ballot proves the importance of others knowing its meaning and potential to improve the university.